The previous sections talk about what sort of things a parent must do to make sure that a child in their care is safe from neglect, physical abuse, emotional abuse and sexual abuse or exploitation. If a parent is struggling with ensuring that a child in their care is safe, the parent must talk to someone to get help.If a parent does not meet a child’s needs, a report may be made to the Ministry that a child is at risk. A social worker will assess each report and, if necessary,investigate to determine if a child is at risk and is in need of protection. An investigation can involve telephone calls from the social worker to the parents of the child. Other family members, the person who made the report, or other professionals like teachers, police officers or doctors may also be contacted. The social worker may also interview the child and request records about the child from the police, doctors or other professionals. If anyone refuses to cooperate with the social worker’s investigation, including preventing the social worker from talking to the child, the social worker may go to court to get court orders to obtain information or talk to the child. If the social worker determines that a child is at risk, there are several different steps they can take to ensure the child is safe. Some of the options are voluntary and no one but the parent needs to know a social worker is involved. Other options are court based if the child is at a serious risk in the parent’s care. A social worker does not want to remove a child from a parent unless it is absolutely necessary to ensure the child’s safety. There are several options which allow the family to address the issues putting the child at risk, while allowing the child to remain with his or her family. One of the least disruptive options open to the social worker is a Support Services Agreement. A Support Services Agreement is an official written agreement between the parent and the Ministry. The social worker works with the parent to create a plan including services for the entire family, both parent and child, to help deal with the issues in the home which are putting the child at risk. If the social worker wants the parent to attend courses, or have a child attend services, the social worker will ask the parent to sign a Support Services Agreement outlining the services the parent or child must attend. The Ministry may pay for all or part of the cost of attending these services, or help the parent apply for subsidies. The parent is entitled to get legal advice about the services the social worker would like the parent to take. Support Services Agreements can last up to 6 months, and be renewed for further periods of up to 6 months. Since a Support Services Agreement is voluntary, a parent is not compelled to attend the services outlined in the agreement. However, if the parent refuses to complete the services requested, the social worker may need to re-assess the ongoing safety of the child in the parent’s care. If a child may be at short-time risk of harm the social worker might suggest the parent create a short term Safety Plan for the child. This may include having the child stay for a short time with extended family or a close friend until the parent can address an immediate problem which is a safety risk for the child. If there is no such family member or close friend, the social worker may be able to provide the parent with short term respite care to give the parent a break from parenting the child. A Safety Plan or Respite Care arrangement is only meant to last no more than a few days. The parent retains all parenting and guardianship responsibilities for the child, even if the child is not in the parent’s care. After the immediate issue is addressed, the child can return to the parent’s care. A few days are often not long enough to address more serious issues which may put a child at risk. The social worker may then ask a parent to enter into a Support Services Agreement along with creating a Safety Plan or providing Respite Care. If a parent in crisis does not have extended family or friends willing to care for a child, the social worker may suggest the parent enter into a Voluntary Care Agreement (VCA). A VCA places the child in the temporary care of the Ministry (a foster home) with the parent’s agreement for periods of between one to two years, depending upon the age of the child. If the parent has extended family or friends who can care for the child, this can be arranged for under an Extended Family Placement or EFP. This is a similar arrangement to a VCA, but allows the child to stay in the care of family or friends instead of being cared for in a foster home. The VCA includes a partial transfer of parental authority from the parent to the Ministry to allow the MCFD to care for the child while the child is in foster care. This is a voluntary transfer of parental authority, and it ends when the parent asks for the transfer to end. A VCA or EFP can also include a Support Services Agreement which addresses more serious and longer term protection concerns. This type of arrangement allows a parent to go into a residential treatment program, or concentrate on attending services without worrying about the child’s care. If a social worker tells you your child may be at risk and an application will be made to court, you should ask for legal advice from a lawyer familiar with child protection law. If you cannot afford a lawyer, legal aid is usually available for low income earners who are dealing with court based child protection matters. The numbers for legal aid are listed in the back of this booklet. If a parent refuses to work with a social worker and attend services to reduce a risk to a child, the social worker can legally require the parent to attend services by applying to court. The first type of court application is for a supervision order without removal. If a social worker believes a child is at risk, but certain services can protect the child while leaving the child in the parent’s home, the social worker will apply for a supervision order. This normally happens if parent refuses to attend services which could address the protection concerns in the child’s home. The social worker will make a list of supervision terms for a parent to follow. The social worker can ask the court to place the parent under the supervision of the MCFD for two periods of up to six months, totaling one year. A social worker may also ask a parent to remain under supervision when a child is returned to a parent’s care after a removal. This type of supervision order is meant to ensure that the parent and child have addressed the protection concerns which resulted in the removal. The social worker again can ask the court to place the parent under the supervision of the Ministry for two periods of up to six months, totaling one year. A social worker may be required to remove a child from a parent’s care if they believe that there is an immediate safety risk to the child and no other option is available to ensure the child’s safety. If a social worker removes a child, they will normally ask whether there are family members or close friends who can care for the child. If there is no one, the child will be placed in a Ministry-approved foster home. The social worker must appear in court within 7 days of removing a child to tell the court about the protection concerns which led to the child’s removal. The social worker must notify the parents, the child if over age 12, any care giver for the child and any aboriginal band of the date and time for court hearings related to the child’s removal. If there are family or friends able to care for the child, the social worker can recommend to the court that the child be placed in the temporary custody of a family member or friend, under the supervision of the Ministry, on terms and conditions recommended by the social worker. 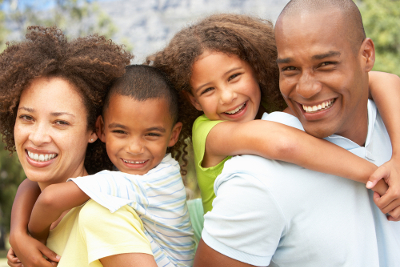 This type of order temporarily transfers custody and guardianship of a child to another person under the CFCSA. If the parent does not have anyone able to care for the child, the court will be asked to make an order placing the child in the temporary care of the Ministry. The child is placed in a foster home and the Ministry assumes all custody, guardianship and parenting responsibilities for the child. Under a temporary custody order, the transfer of custody of the child is not permanent. If the parent can address the protection concerns, the transfer of custody to another party eventually expires. A parent of a child between 0-5 years is given up to one year to work on the protection concerns identified by the social worker. For children aged 5-12 a parent has 18 months. For children aged 12 – 19 a parent has up to two years to address any issues. If the parent cannot address the protection concerns identified by the social worker within the time noted above, the social worker may have to apply for a permanent order removing the child from the parents’ care. This is called a continuing custody order. It permanently removes the parenting and guardianship responsibilities, and any other parental rights from a parent. This is not normally the first option taken by a social worker, unless a parent has a long history of neglect or abuse with other children previously in their care, and the issues leading to the neglect or abuse have not been addressed. Basics of Child Support in BC © People's Law School is, except for the images, licensed under a Creative Commons Attribution-NonCommercial-ShareAlike 4.0 International Licence. This page was last edited on 20 November 2014, at 12:55.